The best time to buy a new Nissan is now. Not only are prices reduced on 2017 models as the 2018 vehicles move onto the lot, but Black Friday savings have already started at Speedcraft Nissan in West Warwick. Some say the end of the month is best; others say buy at the end of the day; some say bad weather days are best. Edmunds says there’s a grain of truth in all of those ideas, but if your main goal is to buy or lease at the best price, December will give you a “perfect storm” of savings. But why wait? Black Friday deals are running throughout November. Nissan is offering dozens of offers on 2017 vehicles – from cash back bonuses to cuts on MSRP to 0 % APR for 60 months. Lease deals are available too. 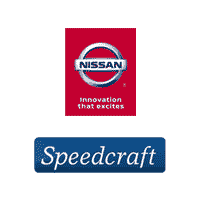 At Speedcraft Nissan, you will find an incredible selection of Nissan vehicles, including Rogue, Altima, Maxima and Murano, and a team of experts to help you at every step of the way. From the paperwork to the financing, everything is simple and seamless. Customers love our no-nonsense approach. After all is said and done, Edmunds advises buyers to think about your needs, not your timing. “Car buying can be stressful, and it can take more than a month to go from deciding what to buy to actually closing the deal.” Why pressure yourself? Do your research and buy when you’re ready, but if you’re ready now you’ll save big.